Otis III - available now! 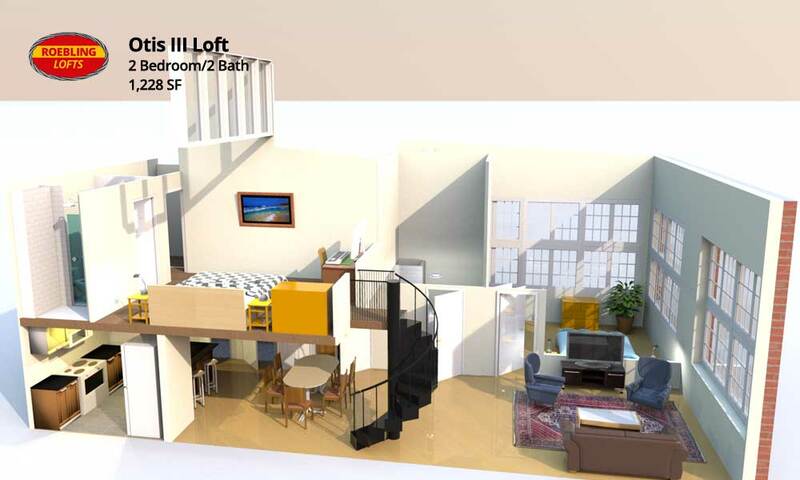 Extra-roomy 2-BR/2BA loft on the top floor with corner bedroom and extra storage. 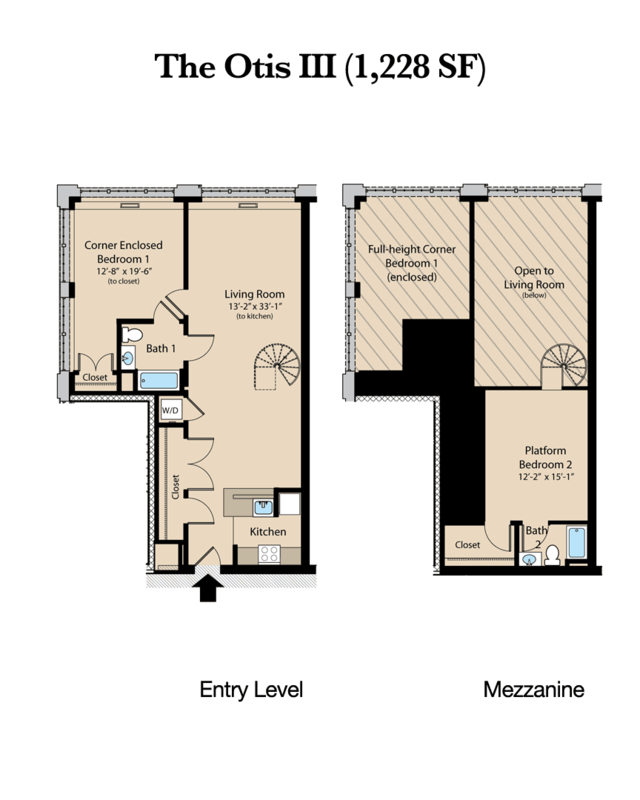 Enclosed, corner bedroom on entry level, wrapped by four massive windows.